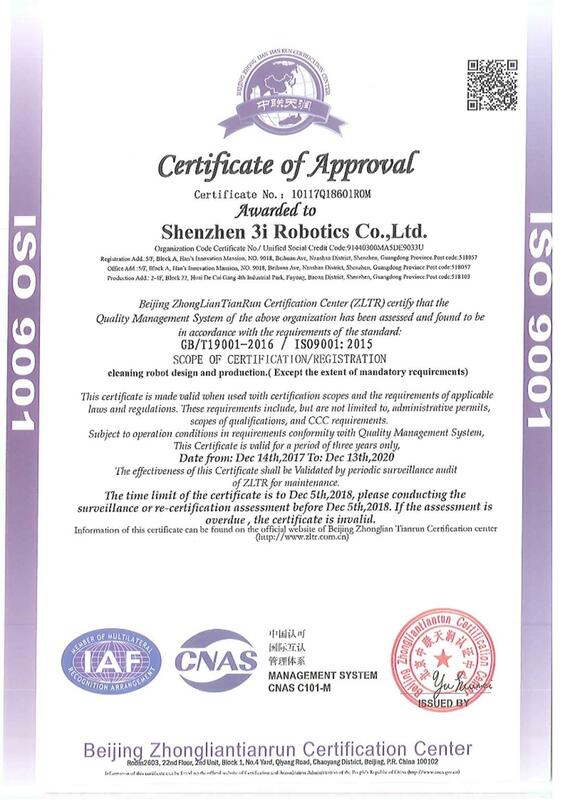 Company Overview - Shenzhen 3i Robotics Co., Ltd.
1YRSShenzhen 3i Robotics Co., Ltd.
Shenzhen 3i Robotics Co., Ltd., is a globally leading provider of core technologies and services of mobile robotics. 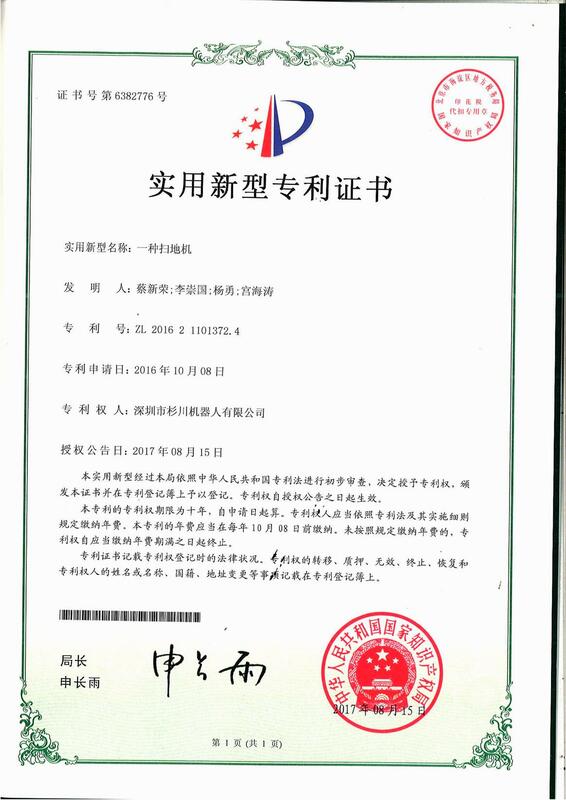 3i robotics, a high-tech enterprise integrating R&D, production and sales, committed to promoting the sustainable development of robots and artificial intelligence.With the progress of AI and improvement of sensors and processing unit. 3i Robotics independently developed Egomobile. 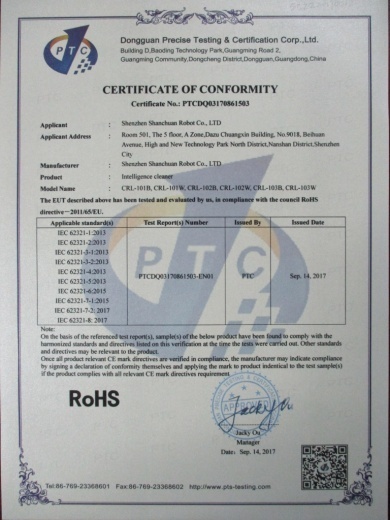 It focus on improving the abilities of sensing and cognition to break through the core technologies of space sensing, perception, human-machine cooperation and realize the basic general system of heterogenous robots for various application.3i Robotics gathers excellent scientists and expects from Carnegie Mellon University, Tokyo University, Chinese University of Hong Kong and University of Hong Kong. 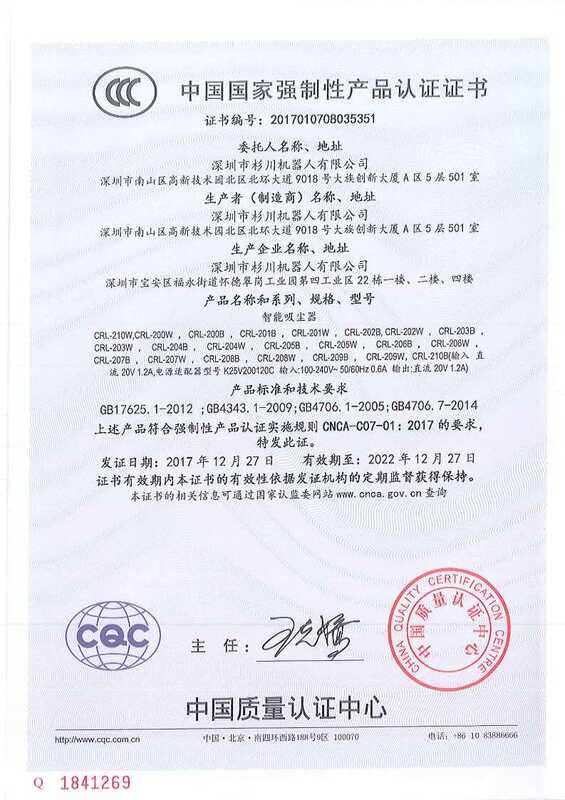 Besides, 3i Robotics has a global mobile robots lab-3i LAB.3i Robotics boasts first-class production and management strength, adopts internationalized standards, and reaches a strategic partnership with globally renowned companies such as Foxconn and USI. 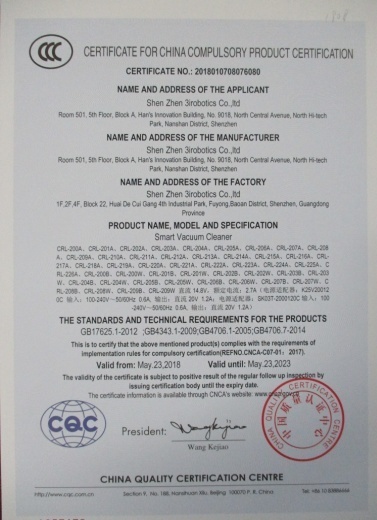 With a large-scale integrated manufacturing capacity, a production line deployment capacity and a cost control capacity, it can satisfy customers' order demands with a guaranteed quality and quantity. 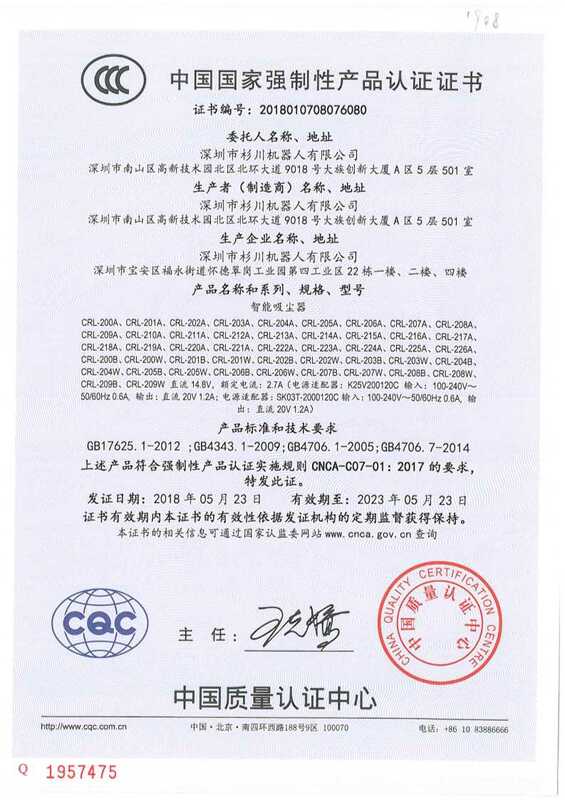 3i Robotics always has abilities of quality risk controlling and management, strictly abide by the international ISO system in production process, ranging from industry design, materials of suppliers, production process, lab testing to customer service. 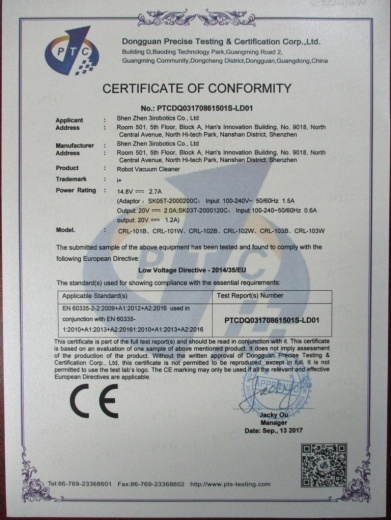 Sample Name: smart vacuum cleaner Model No. 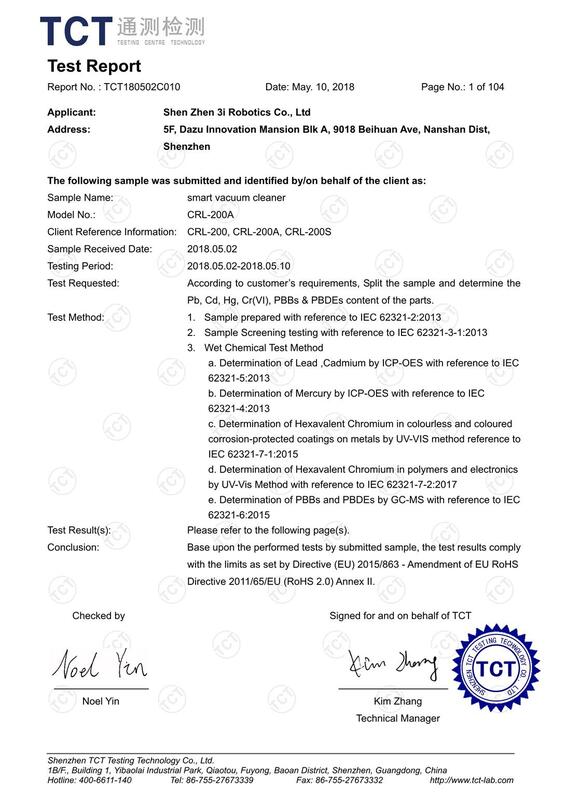 : CRL-200A Client Reference Information: CRL-200, CRL-200A, CRL-200S Test Requested: According to customer's requirements, Split the sample and determine the Pb, Cd, Hg, Cr(VI), PBBs & PBDEs content of the parts. 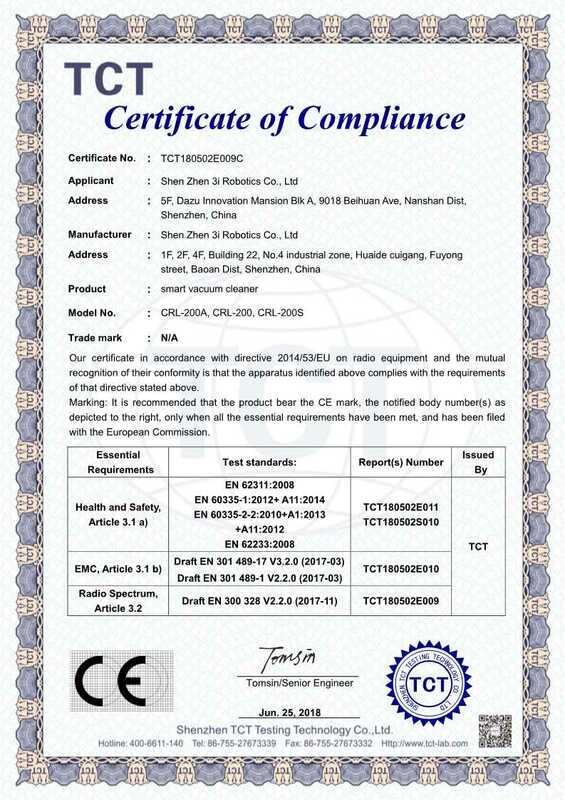 Base upon the performed tests by submitted sample, the test results comply with the limits as set by Directive (EU) 2015/863 - Amendment of EU RoHS Directive 2011/65/EU (RoHS 2.0) Annex II. 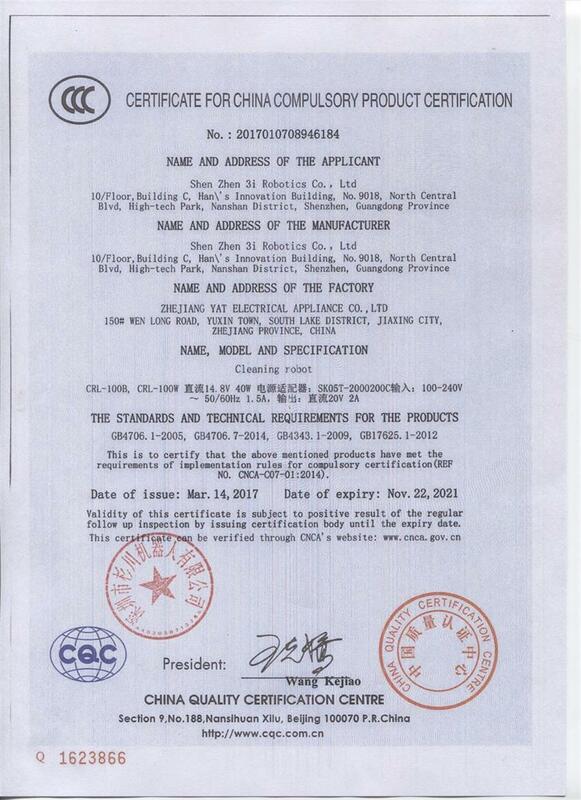 Dongguan Precise Testing & Certification Corp.,Ltd. cleaning robot design and production. The red dot award, derived from Germany, is an industrial design award with the IF design award, one of the largest and most influential competitions in the world's famous design competitions. 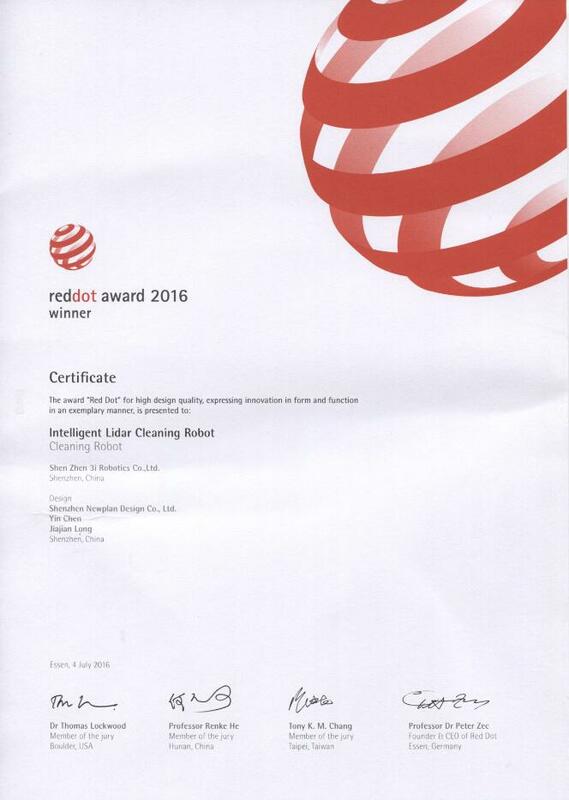 The red spot award is recognized as an accreditation symbol for international creativity and design. 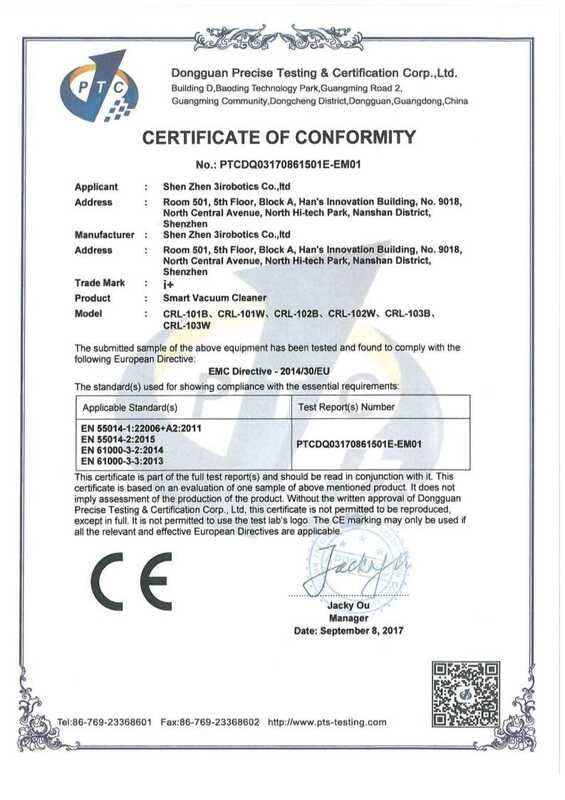 The award means the most authoritative "quality assurance" of the appearance and texture of the product, and the award is awarded. It will get the greatest promotion and recognition. So, winning the red spot award is a great honor for every designer. The red spot is a symbol of high quality design. The international jury will only give the designer's quality certification to the works that stand out from the same kind by the extraordinary design. Excellent industrial design took part in the competition with CRL-100 in 2016.